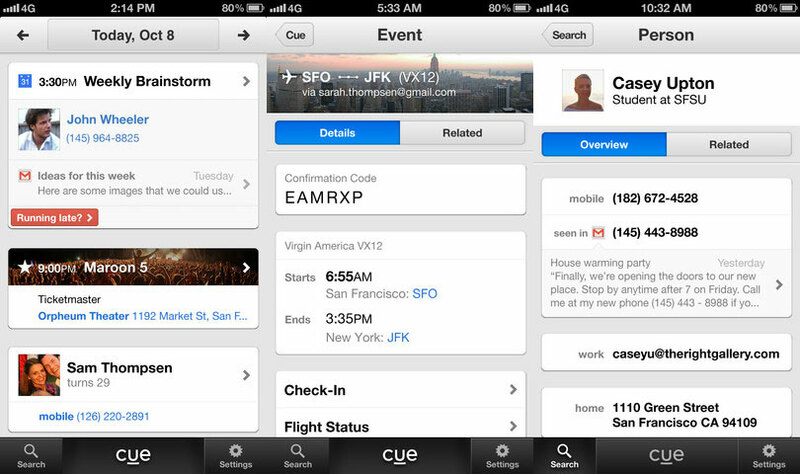 Apple has acquired the ‘smart assistant’ company Cue, for over $40M. Why? Because Google is absolutely murdering Apple when it comes to the utility of Google Now. Apple is likely to use the acquisition, or its talent, to bolster the offerings of its Today section with additional signals curated from email, social networks and more. This would improve the utility of the section, which is fairly sparse right now, and enable Apple to more vigorously compete with Google Now. Google’s service already collates data from all of its services and networks, offering proactive information and assistance to users on Android (and in the iOS Search app). 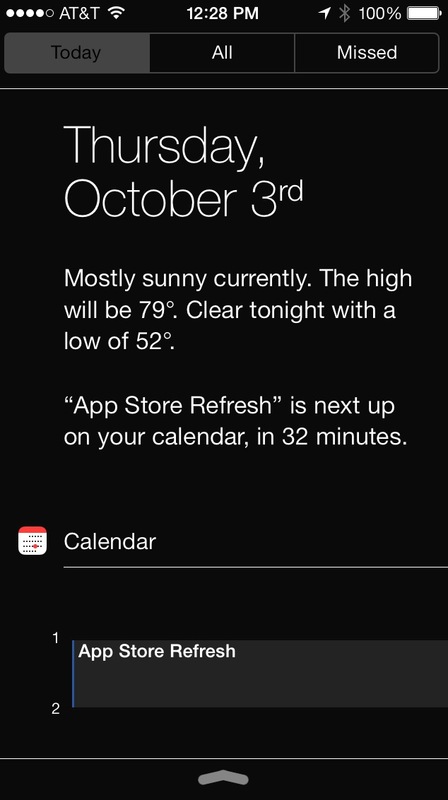 Siri and iOS 7’s new Today section of the Notification Center simply don’t compare to Google Now in-depth, usability or overall power. The ability of Google to tap into the deep array of contextual data that people have living in their Gmail inboxes and other Google products is being leveraged wonderfully by the Google Now team. I’ve said before that Google Now can be considered reason enough to buy an Android phone, and I don’t think Apple is blind to how good it is. With iOS 7, Apple introduced Today as a way to show you upcoming appointments, weather and basic directions to home or to work. This is sort of skimming the top of what is possible with the host of sensors your smartphone has available to it and the troves of data that you store in your inbox and other services. It doesn’t dip into your Mail.app data, or provide information based on your location besides simple ‘get there’ directions. Google Now does all of that and a lot more, providing transit instructions and recommendations on timing if you’re traveling. The card-based interface of Google Now offers a really compelling experience that only Google is churning through enough data to replicate. Apple ostensibly has similar data available to it, especially for heavy iCloud users, but it doesn’t leverage it. There’s just nothing on iOS that compares to the power of Google Now, including Siri and the Today feature. Much of that lies in Google Now’s predictive nature. It doesn’t just tell you what’s going on now, it anticipates the information you might need and delivers it to you before you need it. The iOS version of the Google Now service is prevented from doing a lot of this because it has no deep access to the system. This is where things get interesting, as the Cue acquisition could be used to make Siri more powerful and aware, notifying you either via push notification or voice of things you may not even know you needed. The early arrival of a flight or train, congestion along your favorite route to work, and more. Push notifications are the future of how we communicate with our smart devices, whether they’re pocketable or wearable. Making sure that any that Siri or Today might send are content rich and relevant is an important problem. The close integration of Siri as a responsive system and ‘Today’ as a proactive system could be greatly aided by the contextual information that was the core of Cue’s feature set. Cue originally leveraged social accounts to provide an accurate picture of what things you had coming up and what you’re going to do. Later in life it turned its attention primarily to email. The experience of the app itself was never ‘amazing’, per se, but they definitely their claws deep into email parsing and signaling. And that expertise could help beyond just Siri and Today as well, it could also give other apps like Calendar a contextual steroid shot. Rather than getting context-free dates and names there is potential here for Apple to offer a Calendar app that actually helps you get things done, rather than just remind you when things are due. Apps like Sunrise calendar and Donna are displaying what can be done with smartphone sensors and volunteered user data. That’s just the beginning of what’s possible if you own the bones of the OS. These kinds of acquisitions are exactly the kind that Apple likes to make. Small, talented teams that offer it the ability to either implement a new feature or augment an existing one. The proactive use of data in service of the user will be the defining feature of the next generation of smartphones. It will be interesting to see what the Cue team manages to get done.